Joanne got married on April 1st at Boship Lions Farm Hotel Yep, you heard that right - April 1st, April fools day! I think this is my first ever April fools day wedding in the 13 years that I have had my bridal hair and make-up business. There was no foolery at this beautiful wedding. 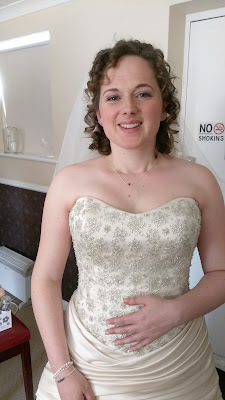 Joanne looked amazing and it was a joy to be a part of her wedding day with her gorgeous family. Those of you who know me, know that I LOVE a good wedding shoe and Joanne's are absolutely no exception. Just look how amazing these shoes are. I want a pair for every day wear!